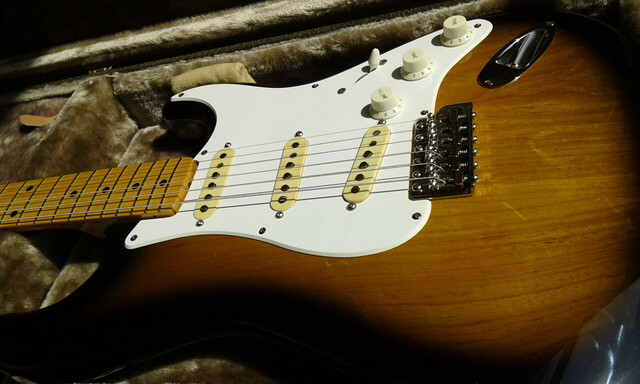 Tokai Forum - a subsidiary of TokaiRegistry.com :: View topic - your first/favourite fender-japan? 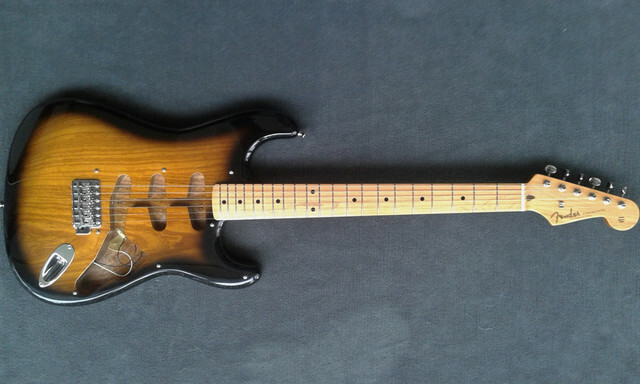 Posted: Wed Jan 02, 2019 6:11 pm Post subject: your first/favourite fender-japan? 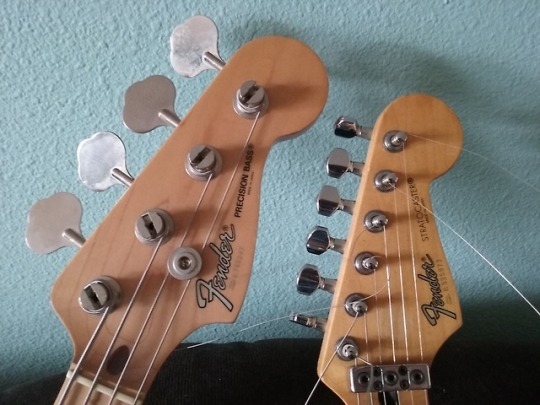 i have bought the fender-japan, 6 in the past and they were all good! some of them were made by fujigen, some were by tokai i guess. i still miss some of them today and regret to have sold them. my first one was ST72-US pickups in black/maple from 1987. this black angel was the first fender-japan baby of mine. the fender-japan ended a few years ago but the japanese fender products still continue to the future it seems today. thats great and TWANG! whats yours & story? 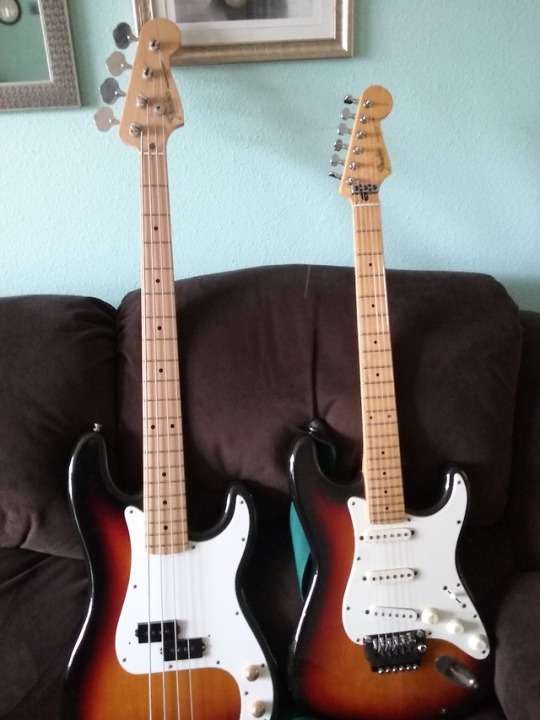 I've had 2, a matching set of strat and P-Bass. E serials, maple necks with skunk stripe. Good ones. I sold the P-bass because the neck was too big for my little chimp hands. Kept the contemporary strat with the system 1 trem. I have better pics of them somewhere. I have owned several MIJ Fenders; Extrad, Custom Edition, ORDER MADE, but most of what I have left now are a few E serial necks & bodies that were parted together to make some great Strats. 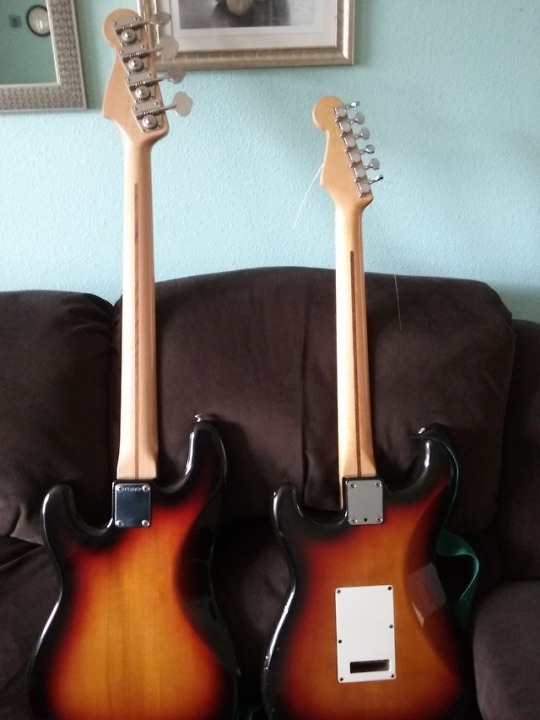 I also have a F serial '57 neck, and an I serial '54 neck that are ready for future projects. I have a mint condition lefty '68 reissue maple cap neck; the maple cap is very nicely figured & flamed. I have it on an old right hand E serial body. It is one of my favorite Strats. E series hardtail/three color burst/rosewood board strat. Really a great guitar. This 2014 Dyna Gakki ST54 VSP (with 1982 Fullerton Red Bobbins added) reaffirmed my preference for Tokai's!